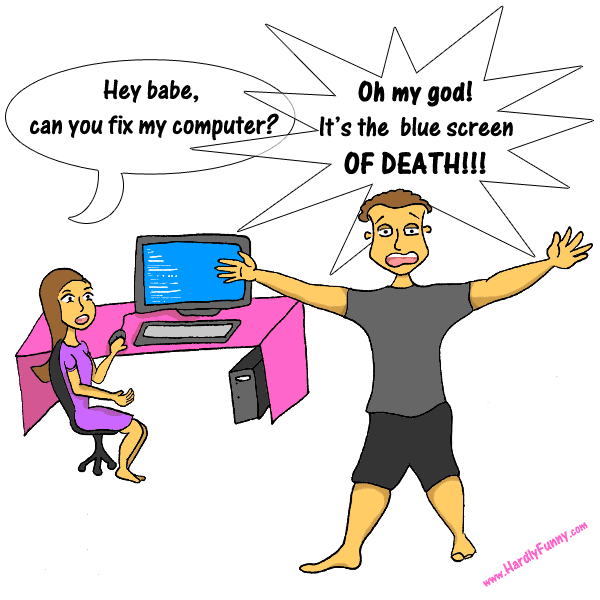 I didn’t know about the Blue Screen of Death until it appeared on my computer, and my husband had this reaction. This famous crash message even has a Wikipedia page with a slideshow of public sightings. How nerdy!